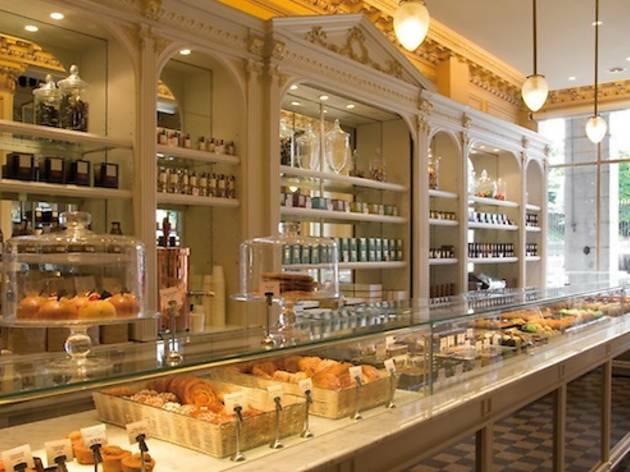 Angelina is home to Paris's most lip-smackingly scrumptious desserts - all served in the faded grandeur of a belle époque salon just steps from the Louvre. The hot chocolate is pure decadence; try the speciality 'African', a velvety potion so thick that you need a spoon to consume it. Epicurean delights include the Mont Blanc dessert, a ball of meringue covered in whipped cream and sweet chestnut, and, for those with a waistline to watch, a brand new sugar- and butter-free brioche aux fruits rouges. The place heaves at weekends, so be prepared to queue. 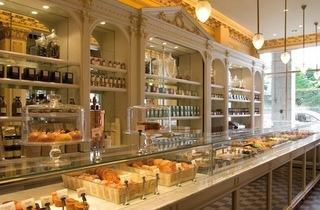 A beautiful café and restaurant near the Jardin des Tuileries that is worth the hype. The interior decor is absolutely stunning and adds to the calm and classy ambiance. I liked how there was a takeaway section near the entrance as well as a sit-down area further inside. The display of cakes and pastries really catches your eye when you walk in and temps you into sitting down for a snack, if you weren't already planning to. My family and I came here about a year ago and shared 4 pastries and the famous Hot Chocolate. The latter is really thick and rich, and served with some freshly whipped cream on the side. As for the pastries, we went for a slice of Opéra cake, the Vanilla Millefeuille, the Saint-Honoré, and the Dark Chocolate Tart. All four were done really well and looked very visually appealing. My favourite was probably the Opéra cake because it's quite a common type of French cake and compared to other bakeries, it was executed brilliantly at Angelina. The Dark Chocolate Tart was also a big hit with my family because both the tart and the filling were dark chocolate, which actually wasn't too overwhelming. Overall, a lovely experience to have as a family for an afternoon tea treat or even for breakfast, so I've heard! The hot chocolate wasn't as amazing as I expected and the Mont Blanc was too sweet. I'm a lover of all things sweet but the combination of the two was too intense I couldn't even finish either one of them. I left the place feeling like a part of my brain was comatized. The interior is nice but not as nice as it looks in the photo. The seating area is a bit too crowded and the service was blasé. Next time, I'd rather get something to go rather than wait in line. SOOOOOOO overrated! over priced and less than gracious staff - as one who adores Paris and spends time here NOT a recommendation!! !